How rural was America in the 1930s? 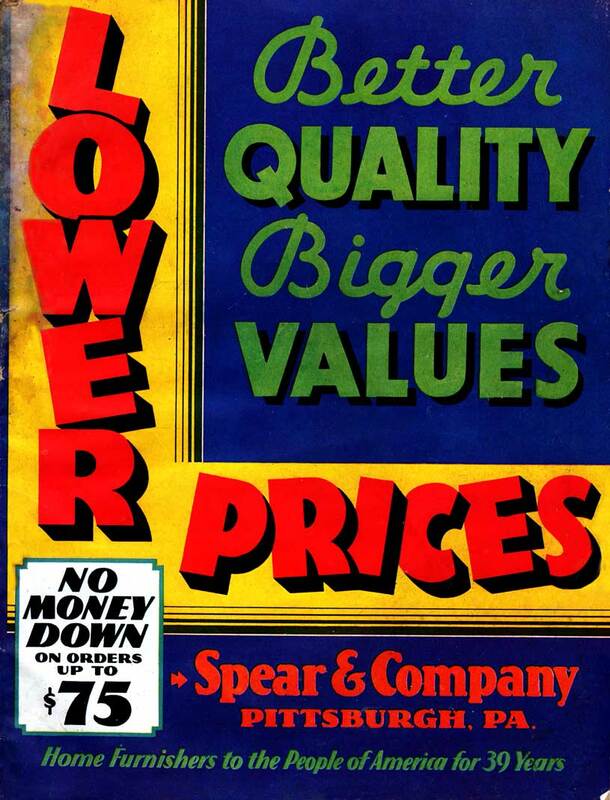 This rural: so many farmhouses didn’t yet have real plumbing that companies like Spear could sell you a self-contained “odorless, chemical indoor toilet” like the delightfully alliterative “Kozy Klozet“. Shades of the chapter in “The Grapes of Wrath” when the Joads discovered flush toilets. On the same page, you also could order a bathtub with an attached kerosene-fired water heater, a combination which gave you “Every Advantage of a Modern City Bath Room.” It even included two holes “in case you ever wish to use it with standard plumbing.” Until then, this would suffice for a weekly bath, and the Kozy Klozet could minimize those bad-weather trips to the outhouse. Fortunately, times have changed for almost all of us. 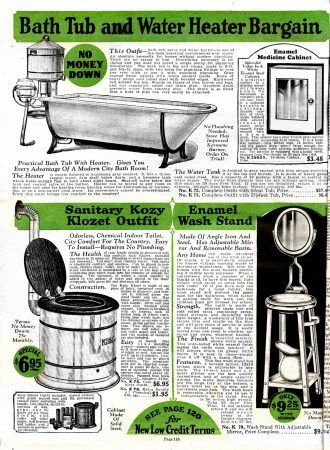 And one more indication: If $6.95 was too much to shell out during the great Depression, the Kozy Klozet could be yours for payments of…75 cents once a month. Previous Previous post: When is a Rug not a Rug?